THE GLOBAL ART AWARDS 2017 : Jamal HABROUSH AL SUWAIDI. Jamal Habroush Al Suwaidi work is influenced by his relationship with the local environment of UAE, and what it comprises from both historical stereotactic notions, and concepts arising from change and prosper. In both dimensions, the artist works upon the significant idea and its endless innovations, along with his invoke on the perspective illustration by describing major aesthetic level for the awaited artistic corollary. Thus, he paves the way towards the anthropomorphism expressionism, and uniformed abstraction for the heritage of artistic elements that are visualized in their own beauty, outlined excellently as having its own contemporary value. Our culture and heritage have been a source of my inspiration. Forms and subjects such as desert, oil, pearls, calligraphy, rhythm and sound inspire almost all of my work. Arabic calligraphy is one of my favorite subjects, I like combining letters with other forms from nature with the aim of sharing the beauty of our language with others. My favorite Artist of all time is? To highlight the authentic social and cultural values of the UAE community, as well as sharing and sending the message of love and peace to the world through my art. In all places which love my art. 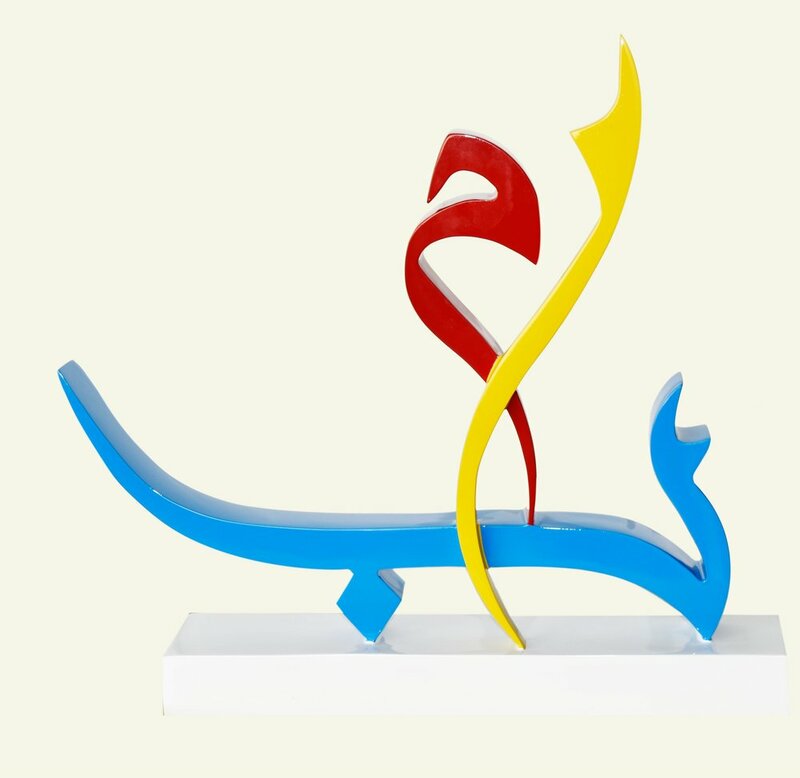 Artist Name: Jamal HABROUSH AL SUWAIDI.